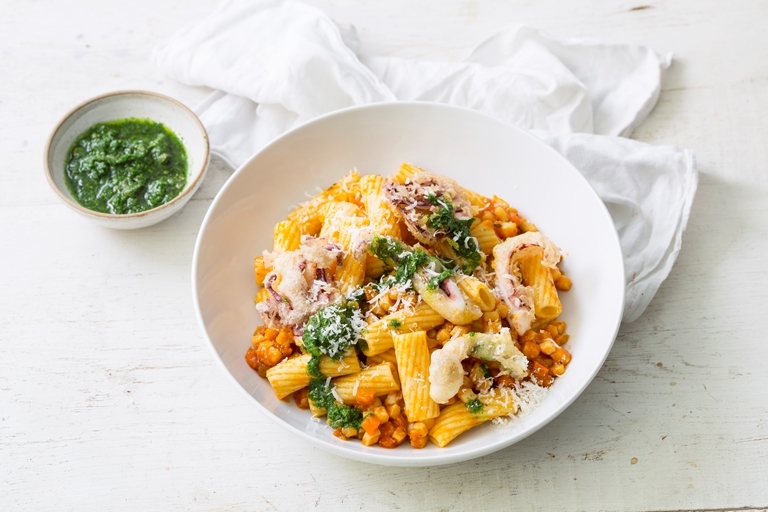 Paul Welburn puts a seafood-inspired twist on a classic dish in his cuttlefish ragù recipe, paired with chunky tortiglioni pasta to complement the beautiful sauce. This dish celebrates the underrated cuttlefish in all its glory, topping the dish with the crispy battered tentacles and serving with a vibrant green salsa verde. If you can't get hold of cuttlefish, you can substitute with squid.